✅ Trip Verified | Considering tourism is one of Thailand’s main exports then I’m amazed to find such a low quality airport as Don Muang. Had to spend 3 hours here waiting for our connecting flight to Singapore. The airport seems run down with very little restaurant or bar offering. Amazing in a world where countries compete giving their guests an excellent service. Thailand is a lovely country but unfortunately we have to come thru an airport like Don Muang. Not Verified | I travel a lot and this is just the most horrible airport I had to depart. You have to be very careful as checking in , passing immigration and gettng your luggage sceened can take 4 hours and in very crowded queues! ✅ Trip Verified | The airport is not as big as the BKK so is easier and faster to get around. It was clean, with some shops and a lot of light. Prices weren't expensive and had a good air-conditioning. 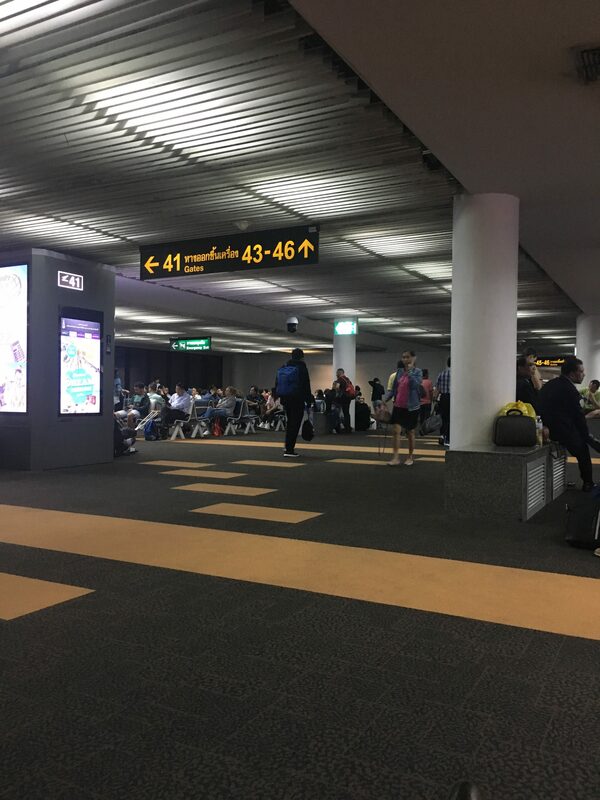 Not Verified | The worst airport I have ever passed through, arriving in Don Muang after mignight with a late flight. 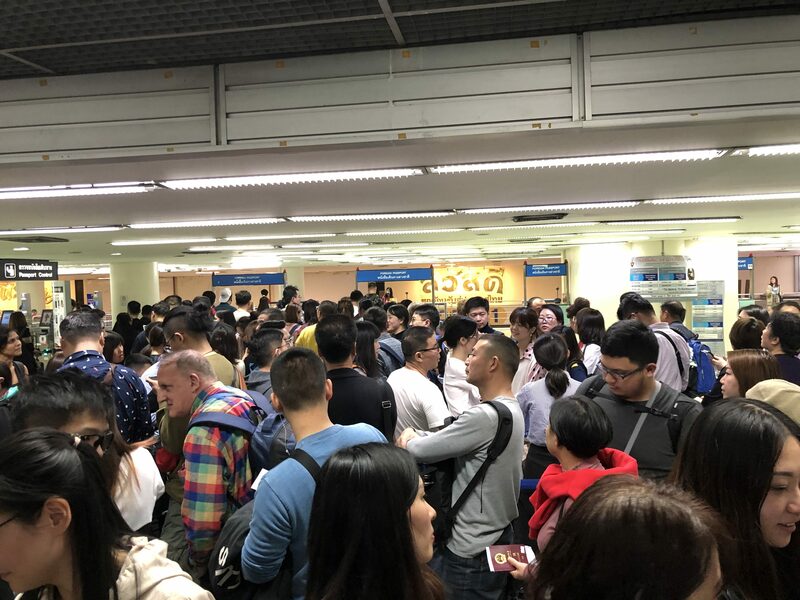 Huge queue of upset tourists waiting for passing immigration, 70% of the counters are close which make our waiting time about 2h15min, that is so shameful. Even Indian airports are better organized at night, it used to be good 5/6 years ago. "not pleased with the chaos of this airport"
Not Verified | I was not pleased with the chaos of this airport. People were lined up in a bizarre pattern that extended beyond the normal ropes and some people in line were not going to the same places and thus started some uncomfortable banter between them. When I wanted to exchange my money, they only had very large bills when I requested for smaller, since I believe it is unsafe and impractical to have only large bills during travel. You should buy the baggage (suitcase) services no matter what since I got charged 2400 bhat for mine even though it was not over 10kg. Not Verified | What a terrible experience! 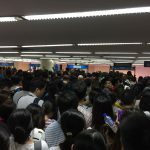 Landed in Don Muang 20 minutes ahead of schedule (domestic flight) and the whole lot of passengers had to wait over 45 minutes for baggage to be delivered. When asked, Thai Lion Air couldn't really be bothered. Then a chap took my bag instead of his, luckily he realised his mistake while jumping in a cab. Was a hassle to get back inside the baggage area to get my bag. I wasted almost 2 hours, not happy. "if you have the choice go for BKK"
✅ Trip Verified | One of the worst airports to fly in and out of, and I fly a lot. Especially international arrival which is always a nightmare. 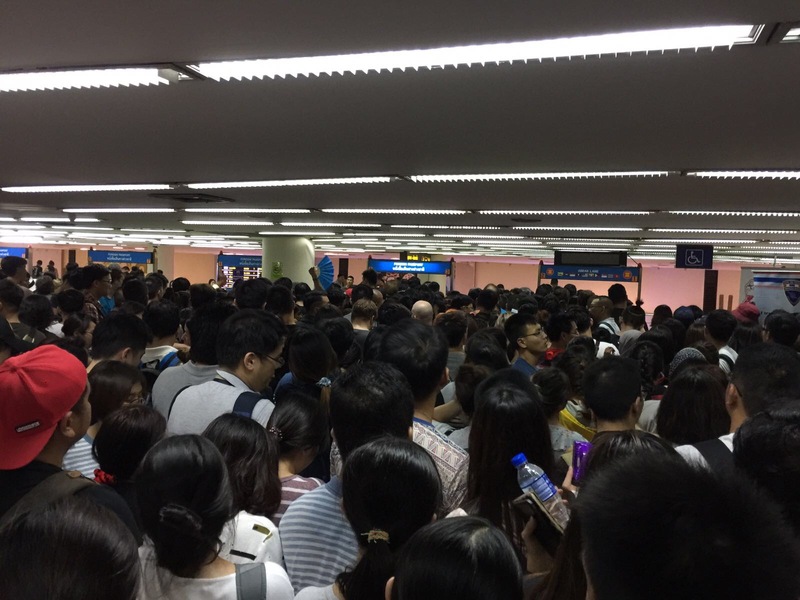 Staff tell people where to queue up for immigration, then promptly closes a desk and yells at people to merge queues. I got moved twice and others who arrived after me go through customs long before me. And then you get to the queue for the taxis, which often takes at least 30 mins of waiting. BKK is a much better experience than DMK, so if you have the choice go for BKK. 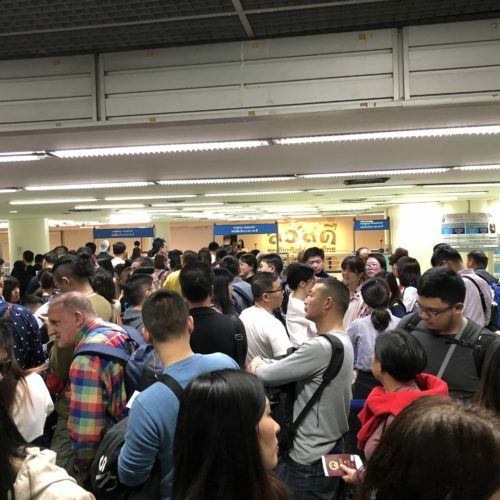 "Nothing ever works smoothly here"
✅ Trip Verified | This is hands down the worst airport to visit (and I visit a lot of them, this one is even worse than KLIA despite that one not allowing solo travellers to bring their luggage to the toilet). At least this time the immigration queues were manageable but they do not even have an ATM in the departure lounge! How are we supposed to know this in advance? I needed to take out US dollars to pay for the visa in the next country and it was impossible without me leaving the departure terminal - which I did not have time to do. Nothing ever works smoothly here (and no this wasn’t convenient to do before departure to Bangkok). 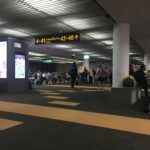 "Maybe I was really lucky"
Not Verified | After reading all of the negative reviews about this airport I left my hotel near Hua Lamphong (25 kilometers away) at 3.20am for a 6.40am international flight to Vietnam. Maybe I was really lucky but I was at the boarding gate at 4.15am. ✅ Trip Verified | Departing on an international flight from this airport is almost a nightmare come true. Pandemonium, failing air conditioners, not enough seats. The place is a mess. Arriving here is a bit less chaotic and certainly less painful. Smiles seem to have been left out front somewhere. No one seems happy to be here, and that includes the staff and the the flyers.